We've seen an influx of products in the last couple of weeks that have opened-up new possibilities for PC builders and system integrators. 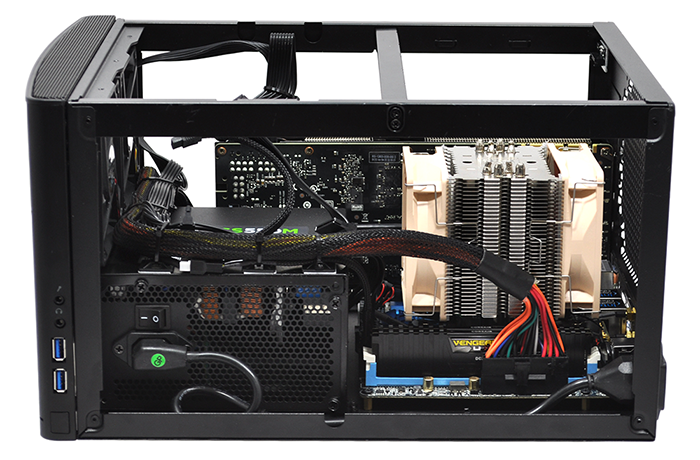 At the top of the spectrum, ASRock has explored the potential of Intel's X99 chipset as a mini-ITX solution, while Nvidia has been busy setting new standards for GTX 900-series graphics with the launch of the ultra-fast GTX 980 Ti. There's an opportunity here, clearly, and UK system integrator Scan Computers has put two-and-two together by launching the 3XS X99 Nanu Carbon. Priced at £1,919, the Nanu Carbon is fondly referred to by Scan as "the pocket rocket" and serves as the company's latest attempt at a high-end, small-form-factor gaming platform. The initial challenge with compact machines such as this is how do you maintain wow factor? It's easier said than done, and if you're accustomed to large towers with elaborate liquid cooling and showy neon lights, the Nanu Carbon may appear entirely mundane. One of the problems, we feel, is that unique mini-ITX chassis are in short supply, so it's no surprise to see Scan playing it safe with Fractal Design's Node 304. 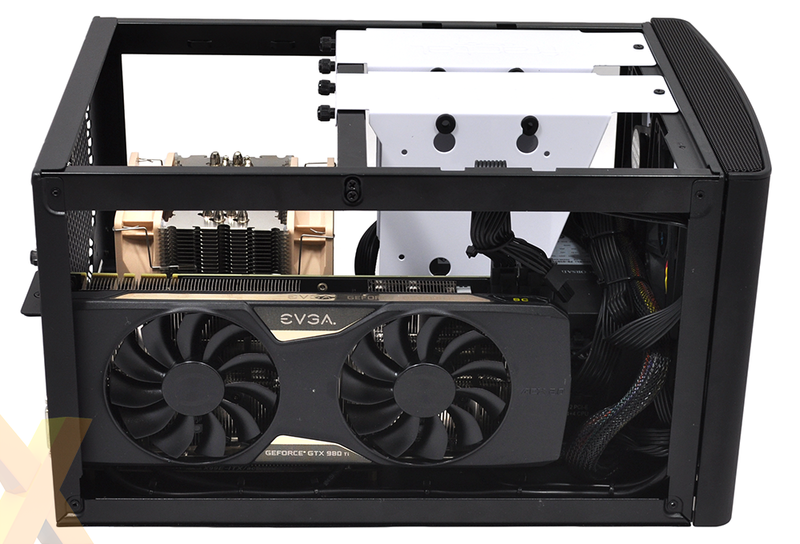 This is a quality case that does a good job of handling a small-form-factor build, yet it doesn't quite have the premium finish you'd want on a rig that costs nearly £2,000. The all-black box measures 250mm x 210mm x 374mm in size, making it small enough to live on top of a desk beside the monitor, but for better or for worse, it's never really going to attract attention. Then again, perhaps it doesn't intend to. Understanding that not all gaming PCs need be ostentatious, Scan has taken a more balanced approach with the 3XS Nanu Carbon, with factors such as noise output being weighed up against out-and-out performance. And the fact that this is meant to be a quiet little machine is made all the more surprising by the fact that it is a rip-roaring performer designed "to play games at 4K or similarly high resolutions." To achieve said goal, Scan has an elaborate array of hardware installed inside the Node 304's shoebox-like frame. The headliners, inevitably, are a hexa-core Intel Core i7-5820K processor and an EVGA GeForce GTX 980 Ti SuperClocked ACX graphics card. 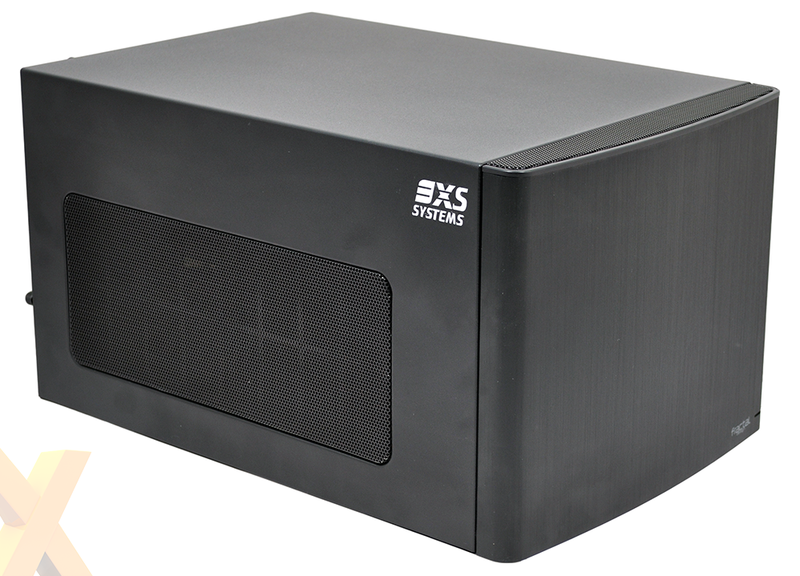 Both sit atop an ASRock X99E-ITX/ac motherboard, and it's a sign of the times that that six hyper-threaded Intel x86 cores and 2,816 of Nvidia's latest-generation shader cores can sit so comfortably inside a diminutive box. 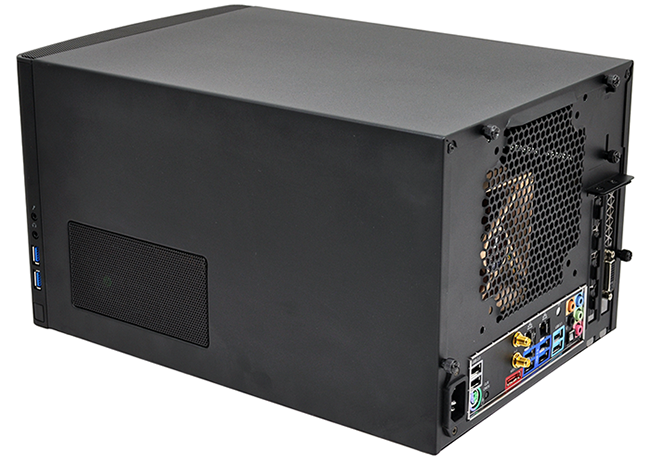 Heck, it might have been smaller still had there not been such a reliance on ATX PSUs. 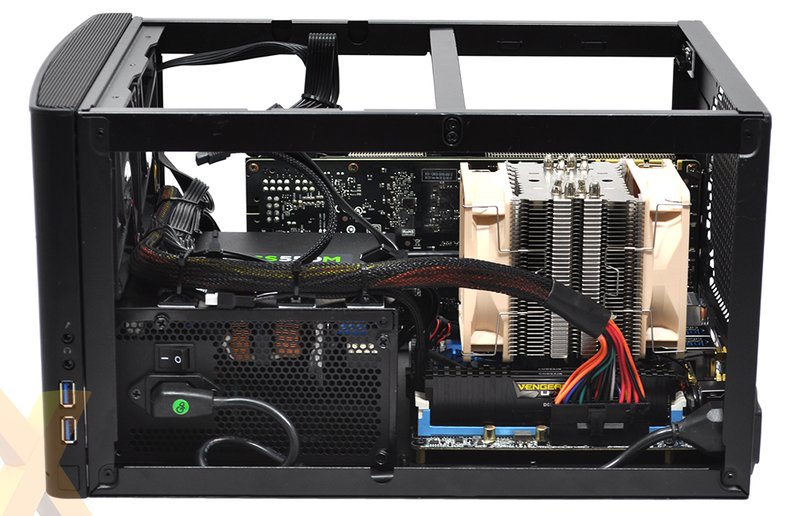 Scan's build quality is tidy as always, and it's on small-scale rigs such as these that you really appreciate a turnkey solution. There isn't a great deal of room for cable management, so it's nice to have someone else neaten the installation for you and Scan has done well to keep clutter down to a minimum. The other key benefit of a Scan pre-built PC is the guaranteed and insured overclock. The firm's standard three-year warranty applies - it offers onsite cover for the first year, with return-to-base cover including parts and labour for the remainder - and that extends to the CPU and GPU, both of which are overclocked by in-house engineers. On the CPU front, the i7-5820K is dialled up to 4.0GHz across all cores and is cooled by a quality Noctua NH-U9DX i4 cooler. Interestingly, Scan tells us liquid CPU cooling was ruled out "as the pump noise was audible in such a small-form-factor system" and hard disks aren't included as standard for the same reason. The GTX 980 Ti, meanwhile, is factory overclocked by EVGA to a peak GPU clock of 1,190MHz, but Scan raises that further to 1,310MHz. Mighty indeed, though if we're being picky it's a shame the card's 6GB frame buffer wasn't also given a speed bump - it ticks along at the default 7,012MHz. The core components are stellar and, while £1,919 is hardly cheap, you'd be looking at diminishing returns should you choose to upgrade the CPU and GPU further. 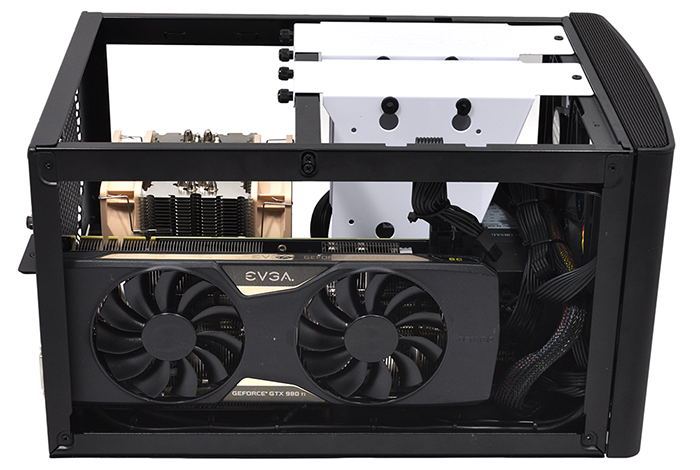 Play with the online configurator and you'll find that moving up to an octo-core i7-5960X will add another £514 to the price, while swapping the GTX 980 Ti for a Titan X will set you back a further £323. One area in which there's no wiggle room is the PSU, and we'd like to see Scan add some alternative options as while the default Corsair CS550M is decent, users may want a more premium solution. On the whole Scan's default specification makes sense and there's a strong supporting cast. 16GB of Corsair Vengeance LPX DDR4 memory is installed as standard in a dual-channel configuration - note that the ASRock board doesn't support X99's quad-channel capabilities due to space constraints - and storage is provided by a cutting-edge 512GB Samsung SM951 PCIe M.2 SSD stowed neatly on the motherboard. A key differentiator for 3XS PCs is service and support, and though both are impossible to gauge from a review sample, Scan clearly makes the effort to go above and beyond. Each bespoke machine is stress tested for up to 24 hours (and then tested again when overclocked), an online 'track and trace' service is available to keep you up to date with build progress, and customiser advisers are easily accessible online, on the phone or in person at Scan's Bolton HQ. Looking beyond the scope of delivery, an 8GB USB stick pre-loaded with various diagnostics tools is also bundled with each system and can be used to help identify and resolve any potential problems. Well thought out and built with performance in mind, the 3XS X99 Nanu Carbon is one of the smallest gaming PCs we've tested, now let's find out if it can be the quickest.